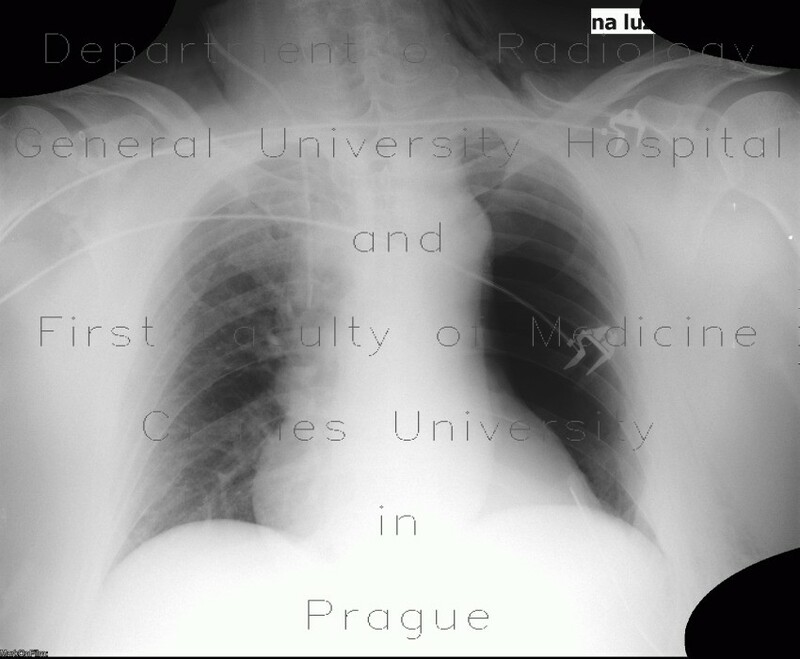 After pneumonectomy, left hemithorax contains air, but almost no pleural fluid. Note also chest tube in the base of the left hemithorax. In the course of time, pleural cavity gradually fills with pleural fluid.